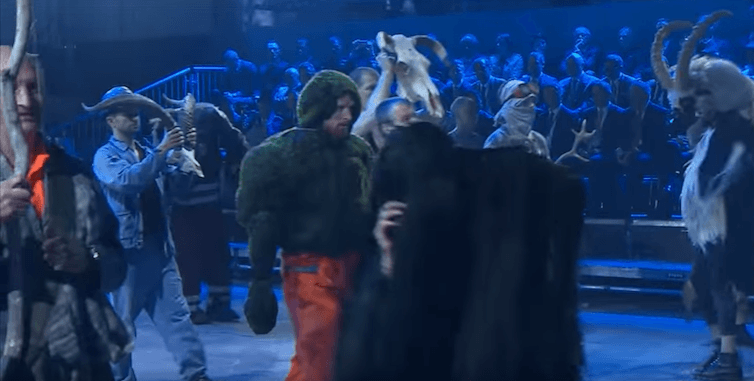 VIA| The Swiss have put on one of the most bizarre opening ceremonies in history to mark the completion of the world’s longest tunnel. Famed for their trains, organizers roped in more than 600 dancers, acrobats and dramatic actors and even composed the new route’s very own theme tune as they pulled out all the stops for Wednesday’s inauguration at the tunnel’s northern portal in Erstfeld. The tunnel has come in under its £8.5billion. Chancellor Angela Merkel of Germany, President Francois Hollande of France and Italian Prime Minister Matteo Renzi all came to southern Switzerland for an upbeat, glitzy celebration featuring musical bands and dancers. Swiss engineer Carl Eduard Gruner first imagined it in 1947: a massive tunnel, unprecedented in length, buried a mile and a half under Switzerland’s symbolic Gotthard mountain range. Nearly seven decades later, after redesigns, political disagreements and the long, slow work of drilling beneath the Gotthard massif, as it’s called, Gruner’s dream is complete. The Gotthard Base Tunnel — a record-setting 35.4 miles long, and farther below ground than any other tunnel — was inaugurated Wednesday. The occasion was marked with a celebration that promoted “Swiss values such as innovation, precision and reliability,” as the tunnel’s website puts it. But to most, it seems like a truly Satanic Ritual in many ways! A dance troupe also performed in just their underwear before fireworks were sent blasting into the sky outside the venue. The out-there event was in honour of the world’s longest rail tunnel, running for 35 miles under the Swiss Alps, and was put together by German director Volker Hesse. It featured a baby with feathered white wings and oversized head and a man dancing with a bird’s nest on his head. Music was provided by Alpine horn players, an army band and live choirs. 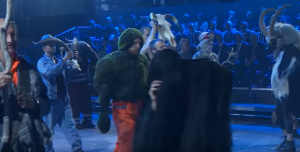 The show included a goat-man who yelled on the stage while surrounded as dancers dressed up as straw bales and surrounded by men and women in veils. 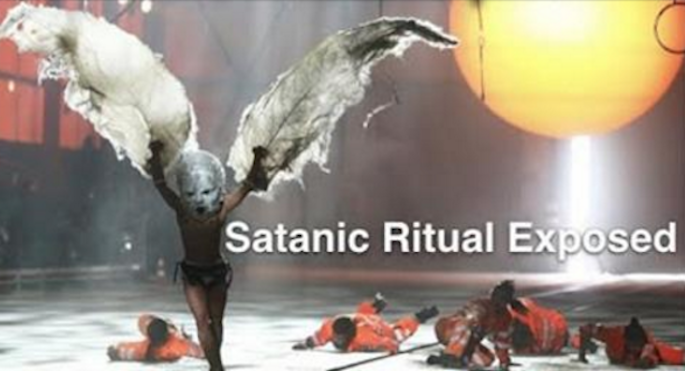 The satanic and sodomite imagery surrounding the opening of the tunnel showed the artistic and religious preferences of the globalist elite. The opening of the Tunnel was a symbolic anti-Сhristian act of devil-worship. The post-modernist show tied with old imagery such as a goat-man was an obvious message. The presence of EU leaders is also significant.